Gordon Baum, the former personal injury lawyer who helped found the racist Council of Conservative Citizens (CCC), which claims blacks are a “retrograde species of humanity,” has died. He was 74. 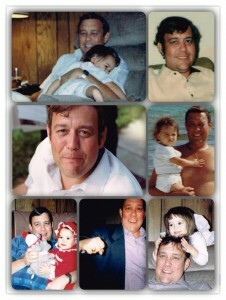 A photo collage posted on Stormfront with word of Baum's death. Baum’s death was reported on Friday by Kyle Rogers, a key leader at the CCC. Rogers first posted the news on the CCC website, as well as on the racist Internet forum Stormfront. Both posts have since been removed, and Rogers declined to answer any questions when reached on Friday by telephone. A telephone message left Friday at the CCC’s headquarters also was not returned. By nature a quiet, behind-the-scenes operator, Baum was instrumental in building up the CCC in 1985 based on the mailing lists of the segregationist White Citizens Councils (formally called the Citizens Councils of America) for whom he had been the Midwest field organizer. The CCC grew to include some 15,000 members, mostly in the Deep South, and to have genuine political power in the 1990s. But most Americans only learned of the CCC in late 1998, when a scandal erupted over prominent Southern politicians' ties to the brazenly racist group. After it was revealed that former Congressman Bob Barr (R-Ga.) gave the keynote speech at the CCC's 1998 national convention and that then-Senate Majority Leader Trent Lott (R-Miss.) had spoken to the group five times, both claimed they knew virtually nothing about the group (although Lott's uncle told The New York Times that the senator had, in fact, been a member for years). A Southern Poverty Law Center investigation at the time documented that the CCC was: a hate group that routinely denigrated blacks as "genetically inferior," complained about "Jewish power brokers," called LGBT people "perverted sodomites," accused non-white immigrants of turning America into a "slimy brown mass of glop," and named Lester Maddox, the baseball bat-wielding, arch-segregationist former governor of Georgia, "Patriot of the Century."